Since the introduction of text messaging, cellphone usage laws have gotten stricter. It can be difficult for drivers to know what they can and cannot do with their phones during their commute. Thankfully, MyDriverLicenses.org has condensed everything you need to know about current cellphone driving laws. Can you even have your cellphone out? Although every state has their individual laws and bans on cellphone usage, most states actually allow you to have your phone out while you drive. Most bans and restrictions that are in place are for drivers under 18 years of age, drivers with a learner’s permit and school bus drivers. 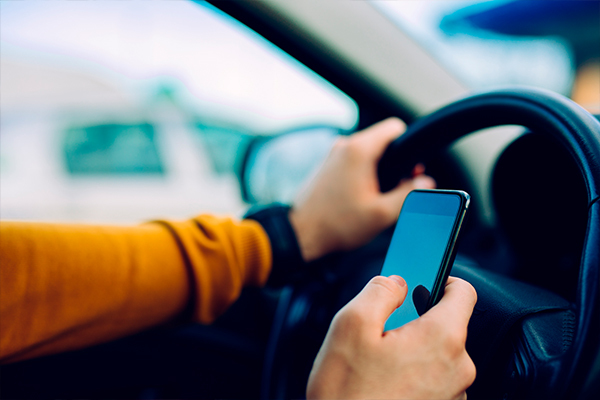 Statistically speaking, minors are more likely to abuse cellphone usage while driving and many states recognize the risk of having those drivers distracted on the road. Most states ban school bus drivers from cellphone use during bus operation to help keep passengers and other drivers safe during the commute. The team at MyDriverLicenses.org would like to remind all drivers that cellphone use laws are state-specific. Some additional laws may apply by county or city, so it is important to review traffic laws before driving and using a cellphone. Can you talk on your phone? When it comes to taking a call while you’re driving, many states require that you use a hands-free method of answering your phone. Some states allow the use of hand-held devices while you drive, but you must verify with your state or city what methods are required or preferred. Like most states, the team at MyDriverLicenses.org recommends that you purchase a phone stand or clip to keep your phone within your line of sight. This method makes answering the phone easier, as you do not have to pick up the device and hold it to your ear. Although a hands-free device is the safest option, many states have little to no legislation about talking on the phone while you drive. Many that have specific laws against hand-held device use typically direct their restrictions towards drivers under the age of 18 or those that hold a learner’s permit. The team at MyDriverLicenses.org encourages you to discover specific state laws about talking on the phone while driving before operating your vehicle. Can you text while driving? Texting while driving is a controversial topic concerning cellphone usage while driving. Texting and driving has caused enough accidents nationwide to create anti-texting ads and campaigns throughout the country. More than 90 percent of US states have bans on texting while driving to help reduce accidents from distracted driving. Most of the states that do have a texting ban have it listed as a primary offense. A primary offense means that an officer can order to pull your car over explicitly for that action. However, a minority of states have texting while driving listed as a secondary offense, which means that police officers can only charge you with the violation in addition to the primary offense that caused the officer to pull you over. You can check to see your state’s stance on texting while driving, but it is best to avoid text messaging while operating a vehicle to prevent car accidents and other serious consequences of distracted driving. The team at MyDriverLicenses.org recommends waiting until you arrive at your destination before reading text messages, using a hands-free device to make calls or asking a passenger to respond to your text messages for you.